So stunningly detailed and immersive, the PRO-7502-S THX in-ceiling surround speaker brings a whole new dimension of reality to home theater. Perhaps that’s why it’s the first of its kind to receive the highly respected Ultra2 certification from THX. Backed by our vast industrial experience, we are offering an exceptional collection of Ceiling Speaker o our clients. 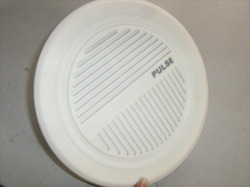 High-quality Ceiling Speaker for indoors is suitable for speech & background music. It is ideal for schools, office, BPOs, Hospitals, Banks, Restaurants, showrooms and hotels.